The Member Discount Program (MDP) allows AmCham members to take advantage of special product and service offers. 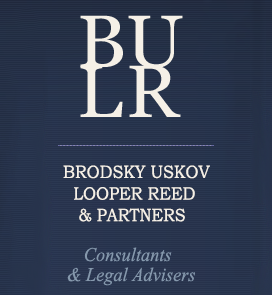 Brodsky Uskov Looper Reed & Partners is one of the largest Law and Consulting Company in the Republic of Moldova, established in 1997 by joint efforts of Moldovan and American companies. It is rendering legal and consulting assistance to local and foreign companies operating in the Eastern and Central Europe. Their mission is to provide legal and consulting services according to the internationally accepted practices to companies that are adjusting to the specific Eastern European conditions, and to provide assistance on the territory of the Republic of Moldova.